If you are starting in the digital marketing world you might have heard about Google’s search network and Display network (GDN). Yes, we know it can be a bit confusing to understand where, when and how to use these two networks. But don’t worry we are here to help you understand how Google Ads works. The search network is Google’s main network and it’s where all the magic happens. Nowadays people use Google for absolutely everything from ordering a pizza to finding the closest car dealer. Can you relate to this behaviour? We are sure you do, now picture yourself Googling something that you need. This is what you are going to see after you have entered your search. 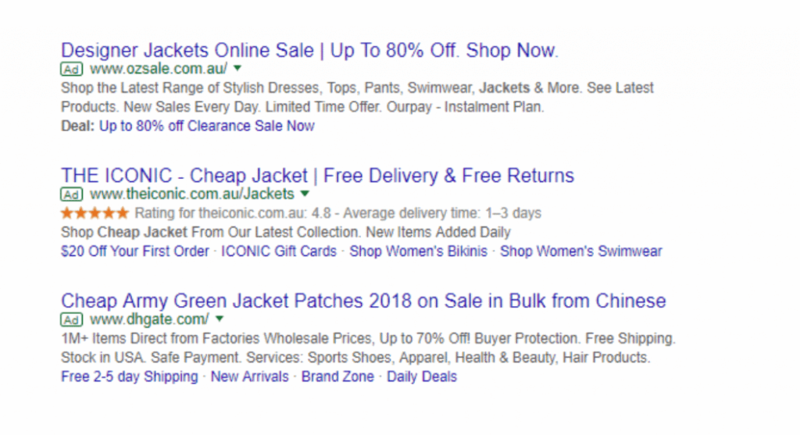 We’ve highlighted the Google Ads that come up on top of the page so you can see what Google Ads look like. 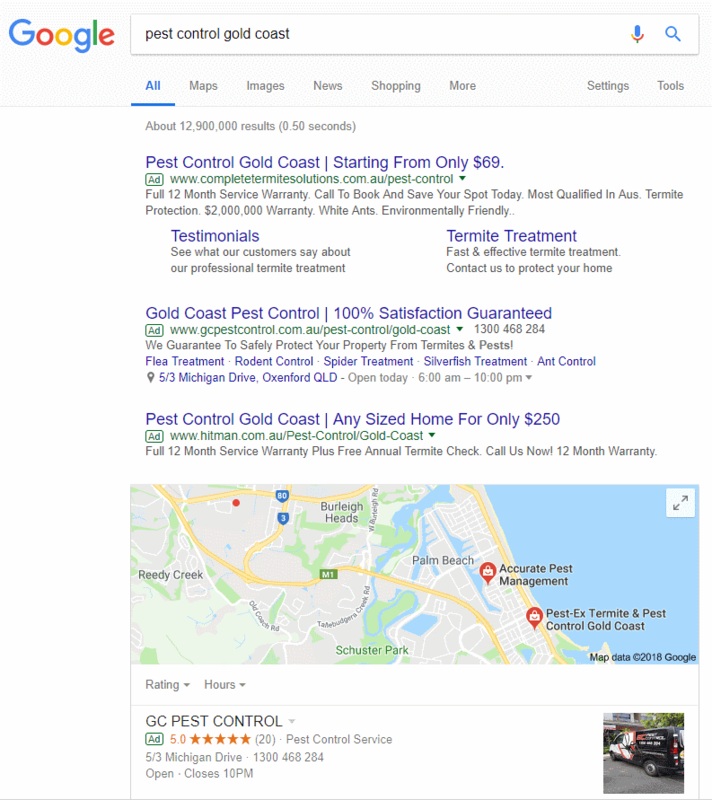 The search network basically targets keywords and search terms so every time somebody searches for the keyword you are targeting your ad will display on Google. The search network is also known for being an effective channel to generate leads and sales, due to the user’s high intention. What do we mean by users high intention? Once again picture yourself wanting to buy a green jacket. What’s the first thing you are going to do? 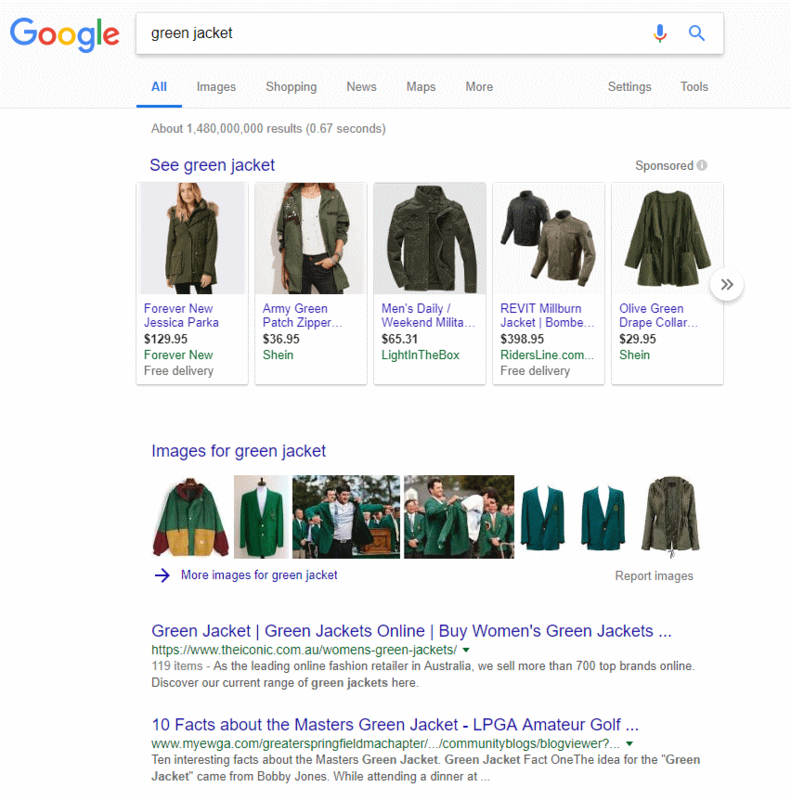 Go on Google and search for Green Jackets. When users search for a product or service on Google they are in the consideration stage. Sometimes they are ready to buy, they just need to see the right offer to make their decision. This type of campaigns are known as CPC (Cost Per Click) campaigns, this means that you pay every time a user clicks on your ad and this is when everything gets tricky so for now we are going to stick with the basics. The Google Display Network or GDN is the largest website, blog, and video network in the world it reaches 90% of internet users and has over 2 million sites. So yes, advertising on this network is a must for your brand! The GDN uses banners, videos and text ads so it’s great for brand awareness and creative campaigns. You must be wondering how this network works right? Let us explain it to you. Google Ads allows you to target websites, blogs and Youtube videos based on users interest, search behaviour, keywords, demographics, age, device and more. This is how your ads are usually displayed. 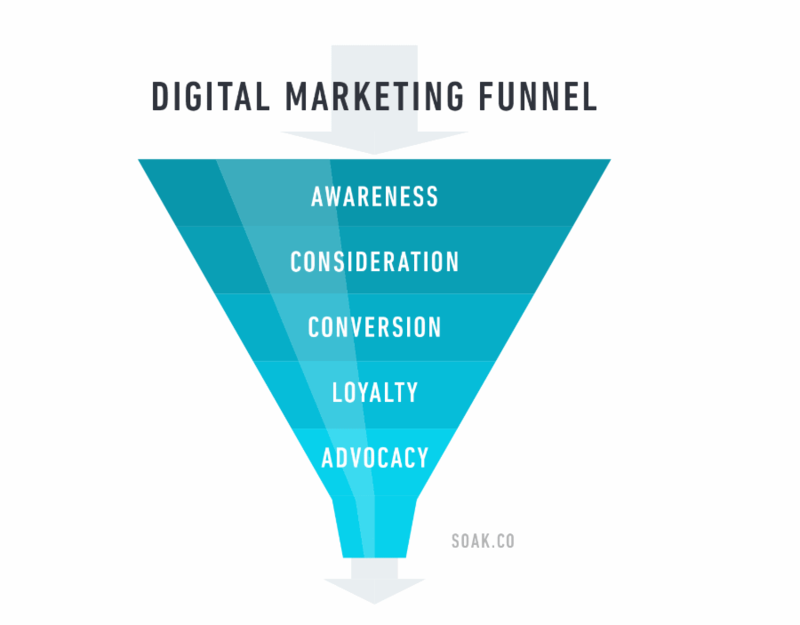 Like we said before this network is great for brand awareness which means that you can use it on your top of the funnel strategy. With the recent updates on the Google Ads platform, you can also use the GDN as a lead generation and sales tool. Another great way to use the display network is with remarketing which targets users that interacted with your website in the last 30 days. We don’t want to confuse you so we are leaving this subject for another blog. The display network usually works on CPM (Cost Per 1,000 Impressions) instead of CPC/CPA but this will depend on your goals. We hope this blog post helps you understand how Google Ads work and if not we are always here to help!